The Lestrade library is a set of bricks for searching in textual documents, either directly or using indices. It is not a search engine per se, but using Lestrade you can build a search engine tailored to your own needs very quickly. 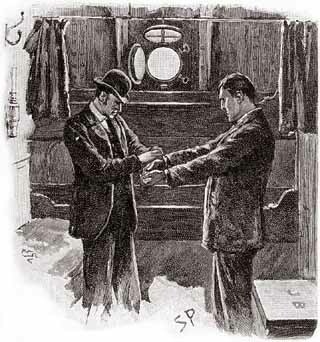 Lestrade originated by simplifying several parts of the Sherlock Holmes search engine. Please see the file doc/intro for a brief introduction. This is currently all, you can however find a lot of information how to use Lestrade in the example customization or in the header files. The latest release of Lestrade can be downloaded via HTTP or FTP. The library can be distributed and used under the terms of GNU Public License version 2 (GPLv2). Several modules are in public domain. Lestrade was written by Martin Mareš and Tomáš Valla. There are several modules included, which are credited also by Robert Špalek and Pavel Charvát. If you use the library to your pleasure, the authors will be glad to hear that at the same address.